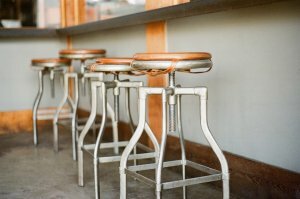 Do you live in Reading and are looking to sell your bike? Try us! 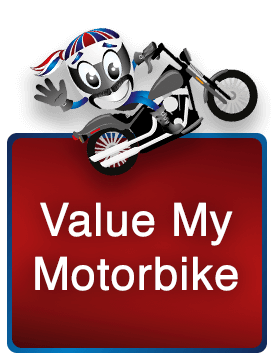 Get a free online valuation and sell motorbike today! If you’re wondering, who will buy my bike? Then look no further… we will! We Buy Any Bike is the UK’s number 1 bike trader, with over 16 years in the industry, our team will buy and collect your bike at no extra cost! Situated just west of London in Berkshire itself, there are lots of café’s, hangouts & clubs in and around Reading, as well as some fantastic biking routes. Reading is home to some of the most beautiful architecture that you might ever see. Based over the River Thames & Kennet, it has a population of around 168,442, making it the largest town without a city title in the UK. Reading is known to be the top performing economical town next to Manchester. Citizens are also proven to have a better quality of life, visiting here might bring a little bit of luck to all of us! 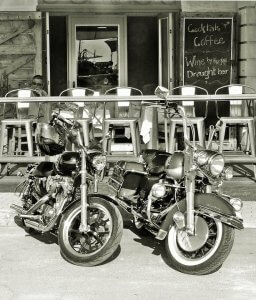 The Flowing Spring Pub – This award-winning pub welcomes all bikers with their fortnightly events. Such as, the classic car & bike meet-up, which are arranged every 2nd Sunday from the 8th April at 9:30 am. Part of the building itself dates back to the 1700’s, however, the history of the business dates back to 1841 when Elizabeth Goodwin was declared publican. This place somewhere you have to visit if you have a passion for historic buildings. Pinewood Bar & Café – Based just 20 minutes out of Reading in Wokingham, the Pinewood Bar & Café offers a warm welcome to all bikers. Often they have a meet up in their large car park on a Tuesday at 7 pm. The Cafe serving burgers until 9 pm. They will occasionally offer a quiz for bikers offering to donate to biker charities. Little Nellie’s Diner – As part of Nelson’s chain, this 1950’s inspired an American-style diner is a great place where local bikers hang out. It may be just short of a 40-minute journey outside of Reading, but it will be worth it once you get there. Thames Vale Vultures – This small friendly group of bikers hold regular meetups at the Wee Waif in Charvil, Reading every second Wednesday of every month. Following this, they host their ride out’s the last Saturday of every month! Thames Valley Motorcycles – As part of the Freemasons, this devoted group of bikers was created in 2013, they may have only been going for a few years, but they love to have regular ride outs. As part of the Masons, they meet up 5 times a year. Typically, in the Summer they attend ride outs on the last Sunday of every month. South Reading MCC – This group of dirt bike enthusiasts enjoy meeting up at their regular Motocross events. A popular track in their area, which they tend to follow most, is the Ashdown Motocross Track based in Wallingford, Oxfordshire. This company has a whole map of great paths for you to ride on. WeBuyAnyBike have come up with a list of greats routes in Reading for you to add to the list! Depending on when you go, this ride can be quite frustrating, especially at the Reading end. Evening drives seem to be popular with this one due to rush hour traffic & winding roads. At the other side, you will discover the beautiful rural Oxfordshire countryside. Mid-way you might like to visit the H-Cafe, which is another popular spot for bikers. Starting in Englefield, this route is ideal for those wanting to take a trip to Wales. This route offers a mix of straight and winding roads going through Swindon. After you have passed by Toddington you will end up in Tewkesbury; a quaint little town and your final destination! Sell my Bike in Reading! Are you looking to sell a bike in Reading? You’ve come to the right place! Our online valuation system takes less than a minute to complete… you will have your results in no time! Motorbike collection? Don’t worry… we’ve got you covered! Our nationwide collection team pick up will collect your bike from anywhere in the UK, at no extra cost! Get a quote today and sell motorbike to bike trader We Buy Any Bike – the largest bike trader in the UK! Previous Previous post: Can I sell my motorbike on Amazon?